You're a disaster, you're one stock of laughter. Established in 2007, Deluxe started as five musicians armed with a bass, a vintage piano, an MPC, a guitar and a saxophone. They quickly improvised an urban quintet and seduced passers-by on the sidewalks of Aix-en-Provence. Thanks to this street band experience Deluxe acquired the spontaneity and frenzy that comes out in their on-stage performances and exudes in their compositions. Inspired by the great masters of hip-hop, jazz and funk, Deluxe creates its own unique musical recipe of its kind and in which there is only one constant : the groove! The group grew and took on a new dimension in 2010 with the arrival of LiliBoy, singer with a smooth but explosive voice. Seduced by their alluring hair, the great master of Chinese Man Records label decided, at the end of 2011, to produce Deluxe’s first EP and send them traveling the roads to spread the Zen spirit with a growing audience. Mission accomplished for the group, their first mini-album found success upon its release. 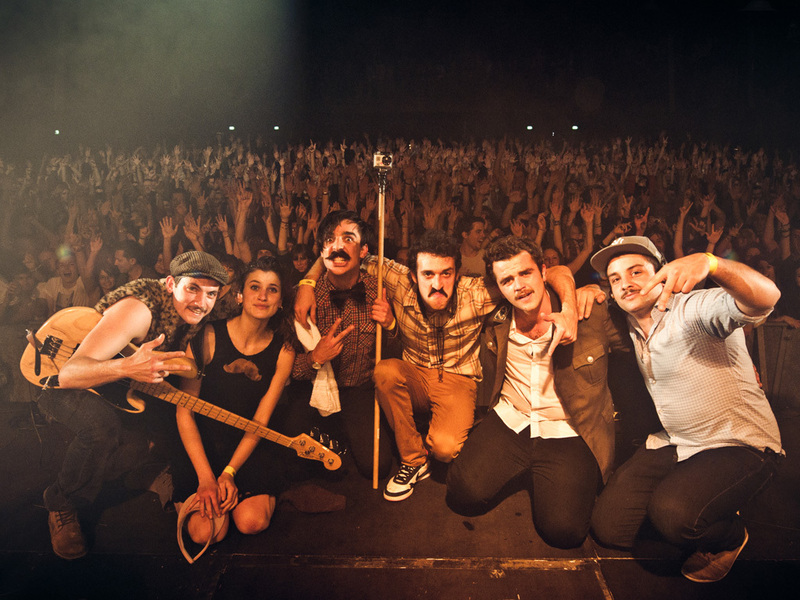 The group participated in Taratata, is playlisted on Radio Nova, France Inter and brings in crowds to each of their live shows. The icing on the cake for 2012 : the band signed its first soundtrack for the movie "Les Profs." In 2013, "Mister Chicken", one of the tracks from their Polishing Peanuts EP was also synchronised in the US blockbuster film "Fast and Furious 6." 2013 promises to be the year of the consecration for the group with a new album and a new tour that will straighten your mustache!